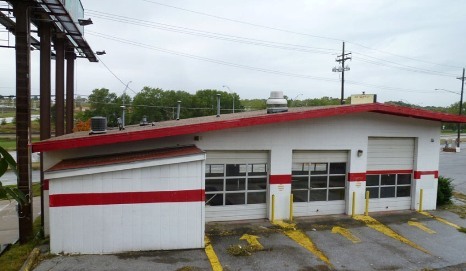 The Owner has ordered the real estate and improvements of a former national brand auto service center be sold at public auction to the highest bidder without reserve. This is a prime location in Bellevue on Fort Crook Rd close to Chandler Rd and Kennedy Fwy. Call now to inspect or plan to attend the open house. FORMER AUTO SERVICE OPERATION SITE FEATURES The property is situated on 3 lots comprising +/-8096 SF with Fort Crook Road frontage and convenient access to South Omaha and the Kennedy Freeway. The property is zoned ML (Light Manufacturing). 2012 consolidated real estate taxes are $3,837.66. No USTs reported on property, Phase I Environmental Site Assessment Report available. 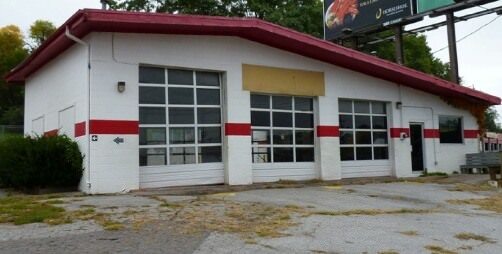 IMPROVEMENTS A one story cinder block building with +/-1821 SF above ground and a lower level. 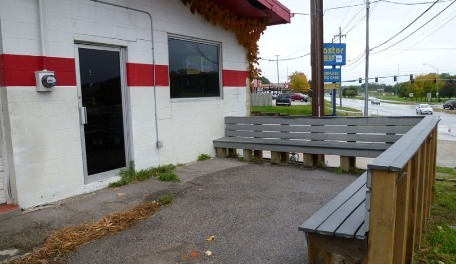 Building is comprised of 3 drive through service bays, storage and office areas. days from sale day when marketable title, full possession & warranty deed will be given. • A 20% earnest deposit is due on sale day. There will be an 8% buyer’s premium added to the final bid price with the balance of the combined total due in full at closing. Title insurance and closing fees to be split equally between buyer and seller. taxes and those taxes shall be prorated as of the date of closing. • Property will be sold: 1.) Subject to zoning, easements, covenants, right of way, reservations, and restrictions of record, 2.) As is with no warrantee simplied or intended, 3.) Without reserve. • Buyers are responsible to inspect the property and verify all pertinent information. Announcements made sale day take precedence overprinted material. • Seller will not pay for any costs, fees or assessments associated with this property after closing.